Henry has now been on the road for a year! Over the last 12 months we at Downie & Gadban have been avidly following Henry Crew’s journey and quest to become the youngest person to circumnavigate the world on a motorcycle. 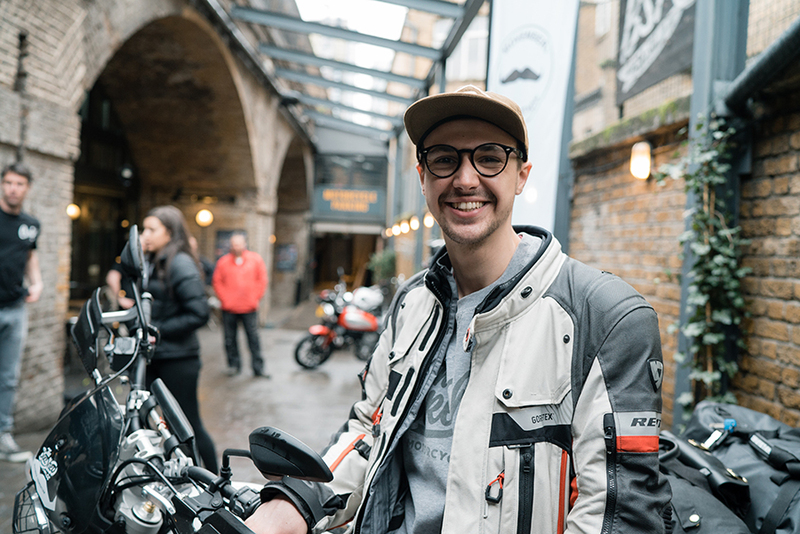 We are pleased to report that Henry, 22, from Petersfield, is back in Europe and about to make his way home to England (once his bike has arrived from America) via Lisbon, Seville, Madrid, Valencia, Barcelona, Toulouse, Bordeaux, Nantes, Paris, Calais and then ending where it all started at The Bike Shed, London. There are a specific set of rules which have to be followed in order for the record to be authenticated. These include travelling more than 24,500 miles and reaching specific destinations on opposite sides of the planet and we understand that Henry has ticked these boxes. With the current record standing at 23 years and 365 days old and with the end in sight a new world record looks to be “in the bag”. We can’t wait to hear that he has arrived back in England having broken the world record!